Sanna Sorvari, Werner Kutsch, Paolo Laj, Ari Asmi, and Magdalena Brus (2016). 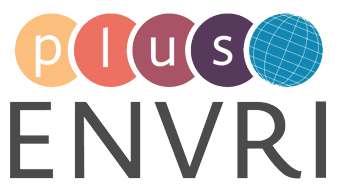 ENVRI Cluster – a community-driven platform of European environmental research infrastructures for providing common solution for science and society. Geophysical Research Abstracts. Martin, P., Chen, Y. Hardisty, A., Jeffery, K., and Zhao, Z. (2017). Computational Challenges in Global Environmental Research Infrastructures. In Terrestrial Ecosystem Research Infrastructures: Challenges, New developments and Perspectives, edited by Chabbi A., Loescher H. W. CRC press. Berchet, A., et al. : Atmospheric constraints on the methane emissions from the East Siberian Shelf, Atmospheric Chemistry and Physics, 16, 4147-4157, doi:10.5194/acp-16-4147-2016, 2016. ** Asked to add publisher and publishing place, but was unable to find information. I put “?” in the fields. Volume 242, 15 August 2017, Pages 75-84. Asmi, A., Brus, M., Sorvari S. (2017). Community-Driven Efforts for Joint Development of Environmental Research Infrastructures, In Terrestrial Ecosystem Research Infrastructures: Challenges, New developments and Perspectives, edited by Chabbi A., Loescher H. W. CRC press.